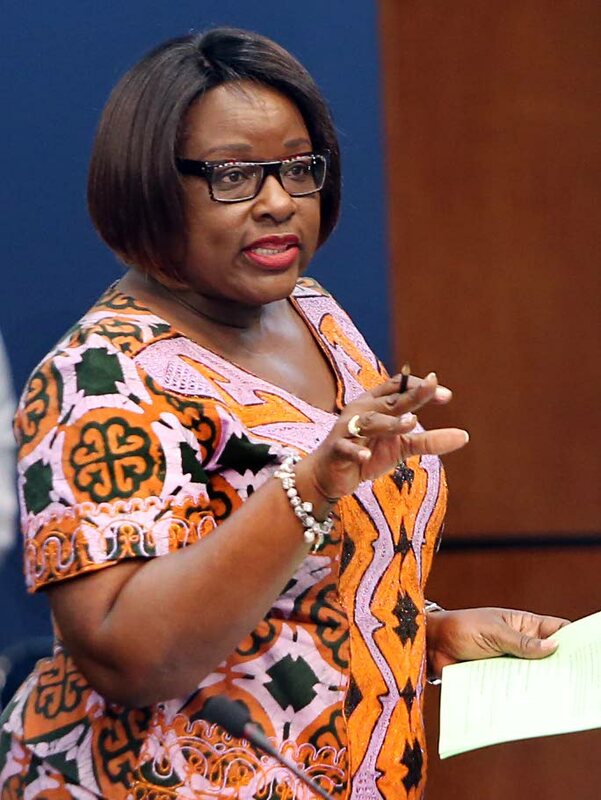 THE Opposition United National Congress (UNC) has, “no interest in pursuing the business of the people of TT.” Leader of Government Business Camille Robinson-Regis made this declaration yesterday about the Opposition’s walkout from the House of Representatives on Wednesday night. The walkout happened while Laventille West MP Fitzgerald Hinds was concluding debate on a motion to note the report of a Special Select Committee (SSC) appointed to examine the selection process used by the Police Service Commission to appoint a Commissioner of Police (CoP). Robinson-Regis rejected OppositionWhip David Lee’s claim that the UNC did not know the House would subsequently debate a motion to approve acting Deputy CoP Deodat Dulalchan’s nomination for CoP. The Government’s mission “is to ensure that the work of the Parliament is not compromised,” she said. The bills passed were the Criminal Division and District Criminal and Traffic Courts Bil, 2018, Payments into Court Bill, 2018 and Miscellaneous Provisions (Supreme Court of Judicature and Children) Bil, 2018. The motions passed were to approve the Children’s Community Residences (Children’s Homes) Regulations, 2018, the Children’s Community Residences (Rehabilitation Centres) Regulations, 2018, the nomination of Susan Elizabeth Craig James as a member of the PSC and Senate amendments to the Registration of Titles to Land (Amendment)(No.2) Bill, 2017. Attorney General Faris Al-Rawi and Speaker Bridgid Annisette-George delivered Eid greetings to the population. Reply to "Camille: UNC doesn’t care"